"These sessions are a must for anyone who wants to learn how to live in a healthier home environment. 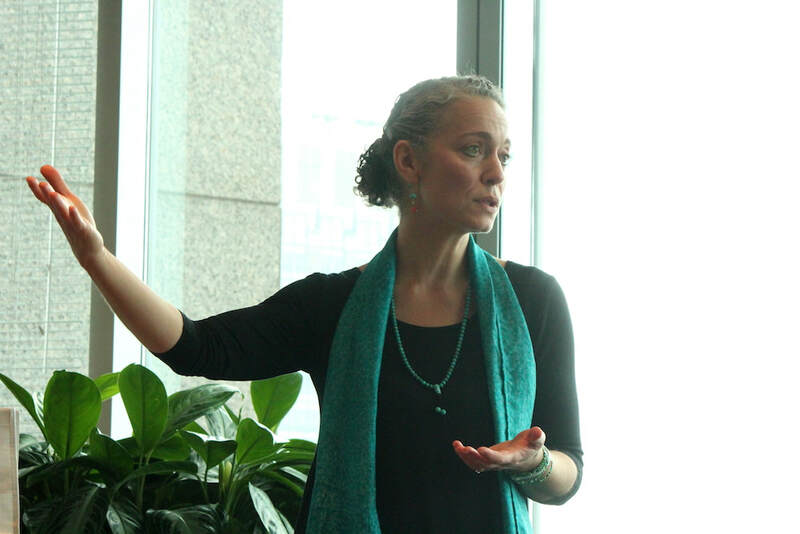 Philippa is an engaging and passionate speaker and an expert in the field of greening your home. She offers very practical and no nonsense strategies that will be kind to your pocket book - and that will actually work! I have personally made a huge change in how I clean my home and this is key for me as I have a young toddler. In fact, I realized with Philippa's guidance, that my son's morning cough was related to the detergent that I was using. I made the switch to a detergent that she had suggested and the cough dissipated within a week’s time. Philippa gave several workshops at our company and the response to her presentations was excellent - you will learn a great deal from her." "Philippa came to my home and gave my friends and I an interesting and informative workshop. Considering that I've just starting greening my home, her practical tips and advice were very easy to follow. As a busy mother of three with a concern for their health as well as the environment, Philippa makes Going Green simple!" "Thanks Philippa for such a great workshop! You have an infectious enthusiasm and for the first time in my life I was excited to clean my house that day! I learned a ton and was also pleasantly surprised to realize that I am already doing some "green" things in my home. Your resource booklet is so handy to refer back to from time to time, allowing me to implement small changes slowly. Finally, I am sure I will be using many of the samples I received for weeks and months to come. Thanks again!" "I've known Philippa for about 15 years but only really got to know her well since I became ill. Philippa was and still is a great source of inspiration to me when I needed advice to help me through difficult times. She is not only a great comfort and easily approachable, she is someone that has wealth of information on how to make your home a safer environment. From knowing what types of foods and home products are full of chemicals and harmful to one's health, to being aware and knowledgeable on which products are safer for you and your family (and friendlier to the environment as well!) Thank you, Philippa, for helping me during my time of need." "I really loved Philippa's workshop! I thought that I was knowledgeable when it comes to the all the toxic ingredients found in many consumer products, seeing as I am a trained naturopath. I learned a lot more than I expected and have made several changes in my home, based on Philippa's suggestions. The results are simple to apply and often more cost-effective! Thank you!!!"